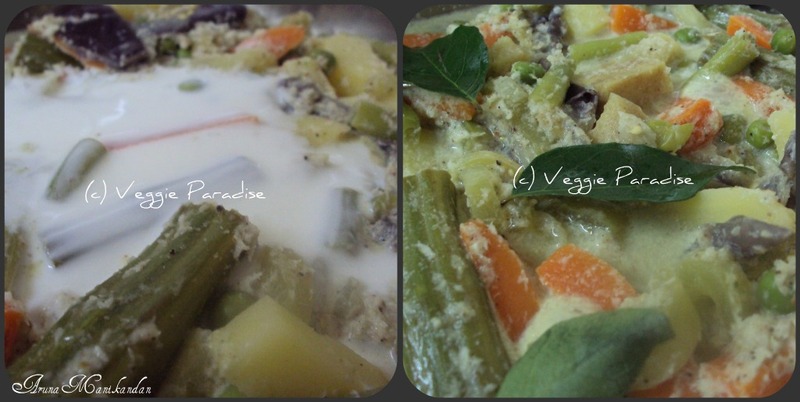 AVIYAL - A rich variety of vegetables cooked in yoghurt. 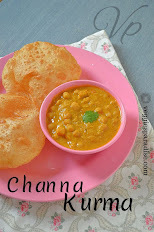 This is one of the popular dish in South India, especially in Kerala.It is a classic dish and nutritious. The taste of adding coconut oil before serving gives an unique flavor to this recipe. 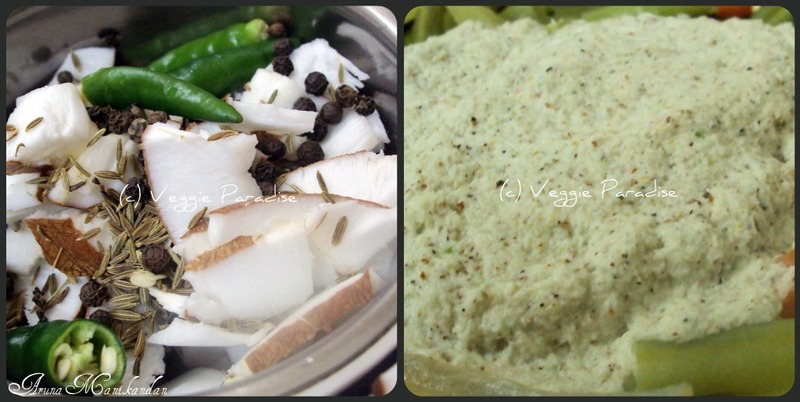 This goes well with rice and also with Adai - Lentils Dosa. 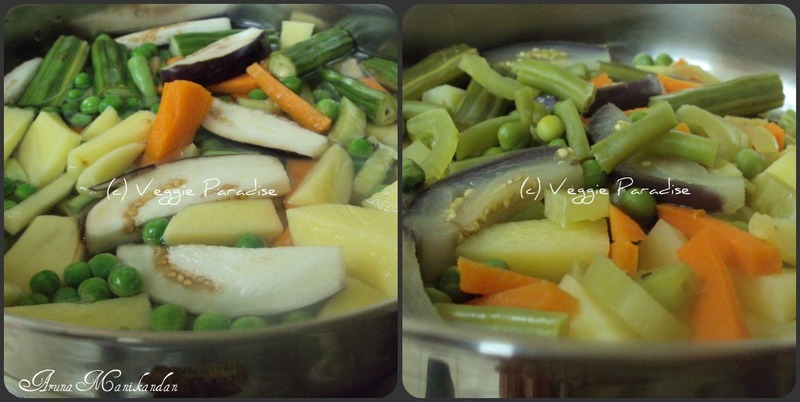 Boil the vegetables with sufficient water.Cover and cook until they turn soft. 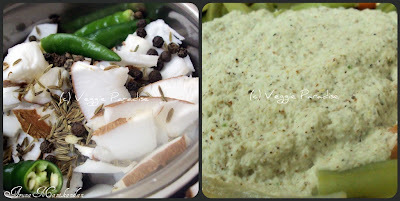 Grind the coconut , chillies, cumin seeds and peppercorns with little water to a smooth paste. 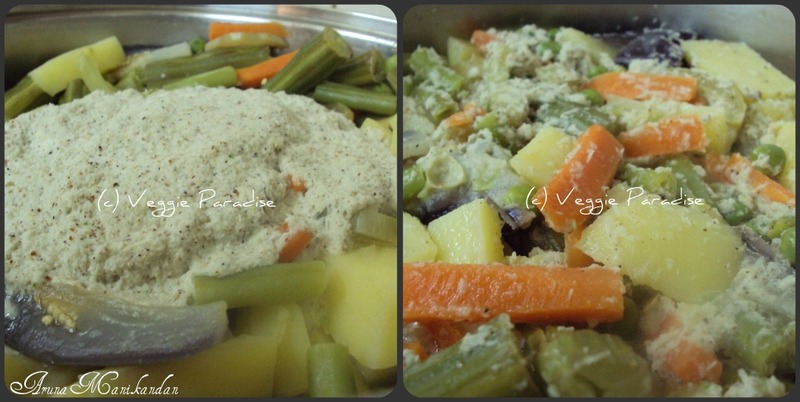 Add this paste to the cooked vegetables and bring it to boil , allow it to cook for 5 mins. in low flame to blend. Beat the yoghurt with salt and pour it on the vegetables, allow this to cook for a couple of mins.Finally add the coconut oil and curry leaves , stir it gently. Remove from the heat and serve it hot. Mixed Vegetables - Potatoes, Peas, Raw banana, Yam, Red pumpkin, Drumstick, Brinjal, Carrot and beans. The consistency of the avial depends on the water your adding at the time of boiling.Before adding the coconut paste drain off the remaining water. Don't skip coconut oil as it enhances the taste of this recipe. Avial looks so tempting and perfectly done.One of my favorite. Hummm... leve, nutritiva e deliciosa. Thankf for the lovely comment dear. Loved the recipe. looks colorful and very tasty. Yummy! My favourite, looks very delicious. aviyal looks so delicious, my fav..
My favorite .. looks so tasty. Yummy Aviyal with all those veggies..
Wow,colourful Vegs in Coconut-Yoghurt sauce.Luks divine.Thanks for dropping in. The addition of peppercorns is interesting. Colorful array of vegetables looks delicious. Thanks for visiting my blog and for your comments... avial looks great.. glad to follow you too.. 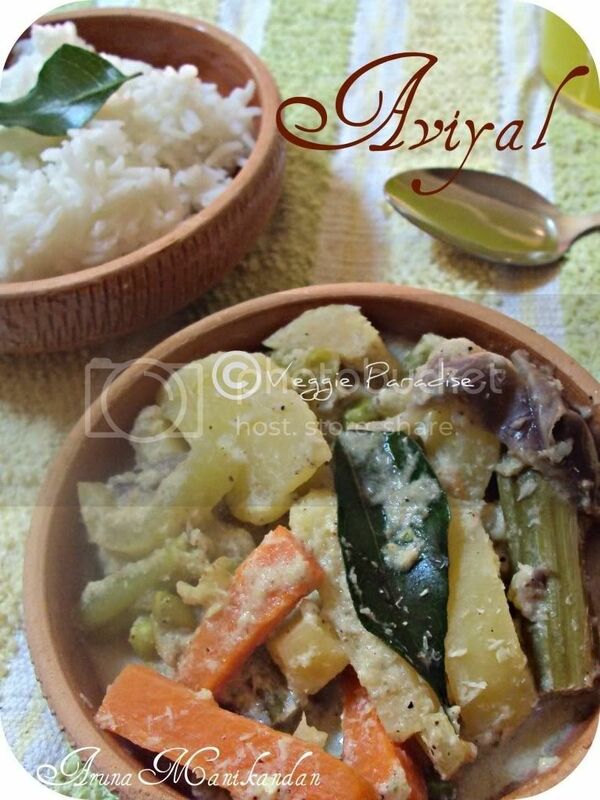 So inviting and delicious aviyal, love it anytime..
aviyal is my all time fav..would love to have it by iteself...u have done it just like the way i make..yumm..love the clicks. The avial looks so tempting..yummm. In the part of Kerala to which I belong tamarind is added to give the tangy flavour. This looks so delicious. Avail looks tempting... I love this and delicious. A classic recipe ~ thanks for sharing! 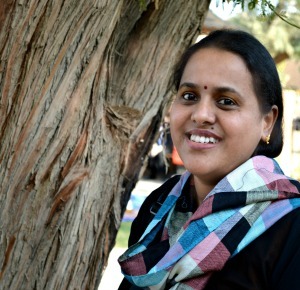 Hi Aruna, thank you for visiting my blog. 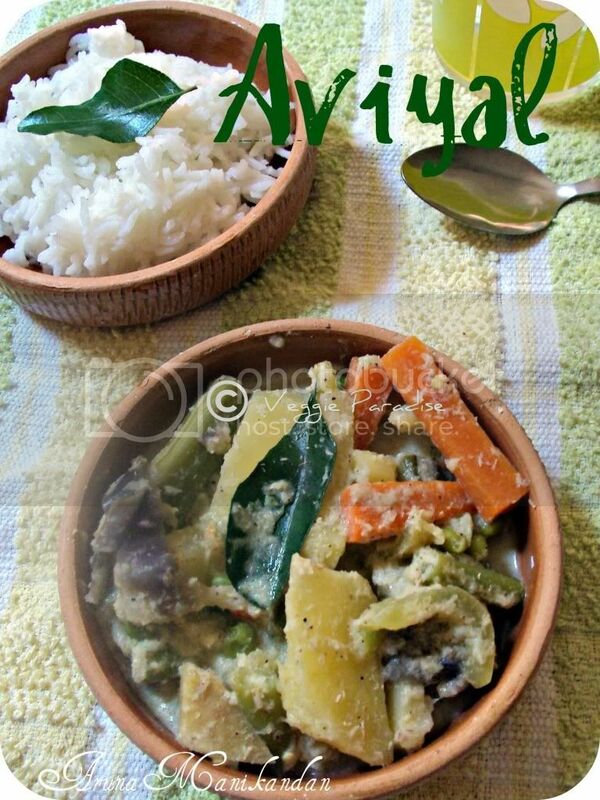 My best friend is from Kerala and aviyal is one of my favorite things to eat at her house. I will make this sometime. Very detailed instructions for aviyal.... looks delicious!! Avial is certainly one of my favorite recipes. This looks too good to pass. Avial looks authentic & inviting!! !